Produce From the Heart participates in produce rescues where volunteers go and harvest fresh produce from farms or gardens that would otherwise become waste. This produce is then donated and distributed to those who are food insecure or hungry in the area. 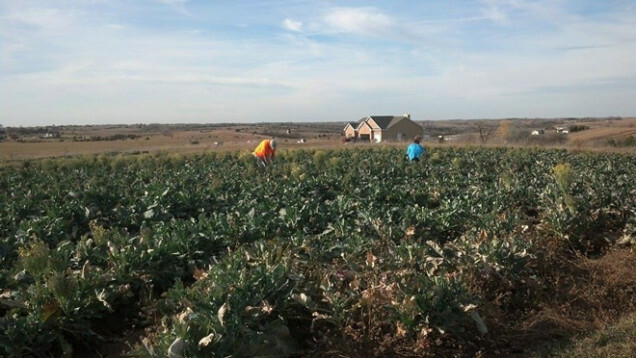 Produce rescues occur many times during the harvest season and we are always looking for volunteers. We are also looking for farms or gardens who are willing to donate produce which we would be able to come and rescue. Produce Rescue Rules and Guidelines were established by Society of St. Andrew and are used by Produce From the Heart. Rules should be followed at all times. When rescuing produce, remember that you are on another person’s land. Treat it as you would treat your own property. Safety is of the utmost importance in produce rescue. Avoid climbing trees or fences and working near farm machinery. The field supervisor is in charge and their rules need to be followed. Park only in areas designated by the farmer or field supervisor. Every produce rescuer must fill out the liability/medical waiver. All volunteers under 18 must have the waiver signed by their parents. Children and youth must be closely supervised by parents or other responsible adults. Please pick up all belongings and garbage.